One key feature of the Internet of Things is the ability to rapidly create IoT applications, including scientific ones. This will allow collecting data from dozens, or even hundreds of low-cost, low-power scientific instruments. The lack of scientific data is an issue especially in Developing Countries, where the number of monitoring stations in limited and where data is unreliable due to lack of connectivity/intermittent power supply/poor maintenance. In order to address this demand, we propose the use of low-cost and low-power IoT nodes to complement the already deployed high-cost sparse networks for scientific data collection. While the IoT array will have inferior measurement accuracy due to the low-cost nature of the sensors, the high spatial density of the array is unique and will prove invaluable for research and operational applications. 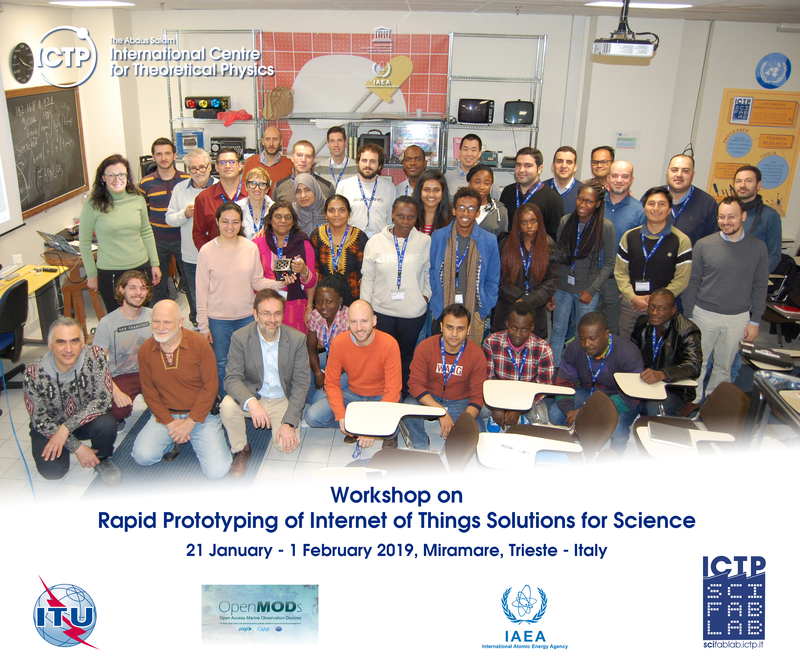 This workshop is intended to share good practices on how IoT nodes can be rapidly prototyped to carry out scientific measurements. Following a seven days hands-on technical workshop, participants will focus for two days on the requirements to develop three applications: radiation monitoring, oceanographic devices and weather stations. On the last day, the participants will share the results of their discussions/experiments. A basic knowledge of the Python language will be highly appreciated.